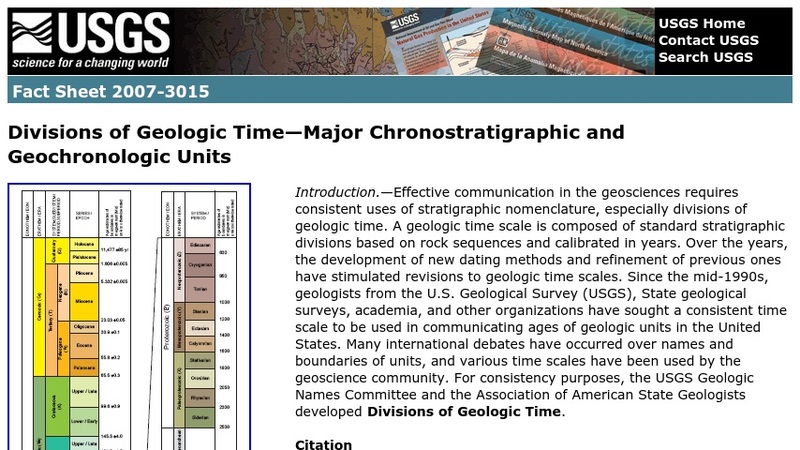 This geologic time scale, developed by the United States Geological Survey (USGS) Geologic Names Committee, provides the most up-to-date ages for all the geologic periods and presents recently adopted new names for some of the oldest divisions of geologic time. It is available as a downloadable, printable USGS fact sheet that includes the time-scale graphic, a brief description of the changes, and a discussion of how the time scale's color shemes relate to geologic maps. References and a citation for the publication are provided.